KCGS was created to foster appreciation and encourage artistry of the guitar in the greater Kansas City area. Daniel learned to play the guitar at an early age. 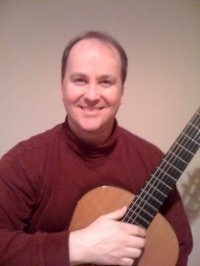 He received his formal training with a Bachelor of Music in Classical Guitar Performance from Wheaton College Conservatory where he studied with Muriel Anderson and a Master of Music in Classical Guitar Performance from the University of Missouri in Kansas City where he studied with Douglas Niedt.